Tuna Connoisseur. Avid Avocado Advocate. Scotch Hydration. Night Owl. 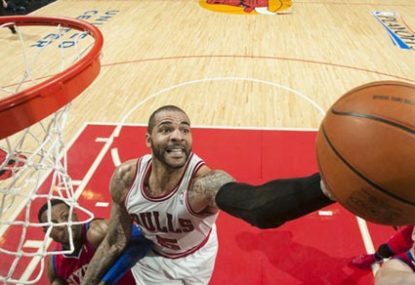 The NBA world thought they were about to watch two heavy hitting franchises go at each other in prime time. The San Antonio Spurs were visiting the defending champion Miami Heat in what could arguably be a small taste of what’s to come in June. 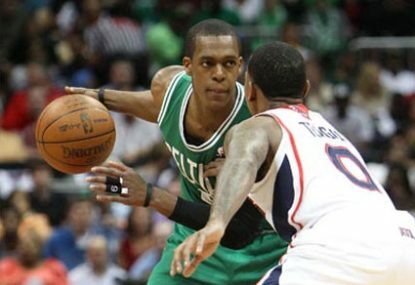 Continuing my series looking at the NBA’s division for 2012/13, we look at the Central Division. With the NBA now around a week away, I’m going to look at how the various divisions line up. We start with the Atlantic Division. Tonight the AFL shifts its focus from the playing field to the red carpet for the presentation of the competition’s highest individual accolade, the Brownlow Medal. Join us from 5:15pm AEST as we follow all the action from Melbourne’s Crown Palladium. Week three of the NFL Season will see The Roar zero in on impressive rookie Robert Griffin III’s much anticipated home debut at FedEx Field. Join us live from 3am AEST as we bring you all the play-by-play action. Week two of the NFL season often results in overreactions being washed away and order being restored. We saw it Thursday night with the Green Bay Packers comprehensive win over the much hyped Chicago Bears. The standout match up for Week 1 of the NFL season will see two powerhouse Superbowl contenders in the Green Bay Packers and San Francisco 49ers lock horns at Lambeau field. It finally happened. Dwight Howard is reportedly a Los Angeles Laker after a four team trade was agreed upon in principle by the Orlando Magic, Los Angeles Lakers, Denver Nuggets and Philadelphia 76ers. With the goal of advancing beyond the group stage firmly in the books the Boomers will now take to the court in a knock out quarter-final contest against heavyweight Gold medal favorites Team USA. Join us from 7:15am AEST to see how our Boomers stack up against the World’s best. After getting their Olympic campaign back on track against China, the Boomers will face off against the hosts Great Britain tonight with a spot in the next round up for grabs. 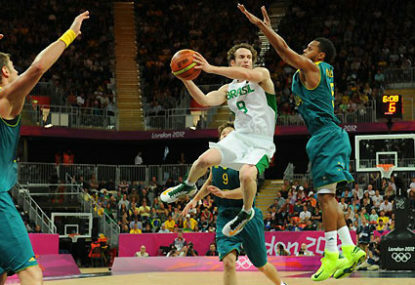 Game 3 of the Boomers Olympics campaign will serve up a do or die scenario against China. Both teams are yet to register a victory and a loss will virtually ensure a premature end to the tournament. Game 2 of the Boomers Olympic campaign will see them go head to head against one of the tournament’s European powerhouse’s in Spain. Join us from 8:15pm AEST to see if our Aussie squad can cause a shock upset against the heavily favored Spanish outfit. Today’s 2012 NBA Draft will see the latest crop of college stars and international prospects come together at the Prudential Center in Newark, New Jersey. Join us from 9am AEST today to find out all the latest draft buzz, trade rumors and drama associated with picks one through 60. This Friday morning at 9am AEST the 2012 NBA draft will take place in Newark, New Jersey. The 30 NBA teams will come together with varying outcomes in mind: new prospect, trade veteran talent, stay the course, or stockpile future assets. Game 4 of the NBA Finals – Oklahoma City Thunder are attempting to level the series against a Miami Heat side just two wins away from a Championship. Join us from 11am AEST to see if Oklahoma can erase the possibility of a win or go home scenario in Game 5. 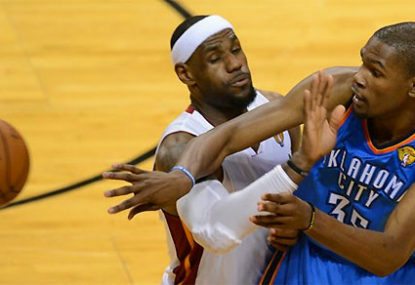 The Oklahoma City Thunder overcame early nerves to register a Game 1 victory over the Miami Heat 105-94. 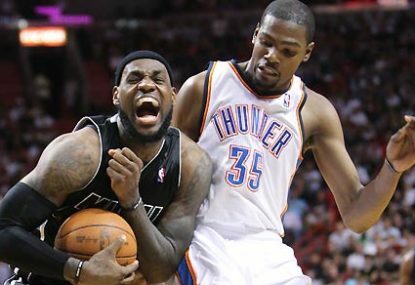 Join us for Game 2 of the series to see if the Heat can square up the NBA Finals from 11am AEST. In a season of unpredictability the 2012 NBA Finals will be contested between the two best teams: the surging Oklahoma City Thunder and a Miami Heat team returning to the Finals stage after 2011’s defeat. Join us from 11am AEST for live commentary and scores. Yep, both teams topped the 100 mark and the Spurs were in front until the final 20 seconds. I’m completely fine with Stern setting a rule during the offseason if he so wishes, but to lash out on a whim as he did is straight up embarrassing. This has happened numerous times in the past and never been an issue, in fact, the NBA backed Popovich’s decision to rest guys as evidenced by Adam Silver when the question was raised last season. Just another example of entertainment and money eclipsing the integrity of the game. For me Brooklyn’s offseason goal was to put a team on the floor that would be playoff level competitive and put bums in seats. They’ve done that. The money and contract side of things is largely irrelevant. I don’t remember saying anything about Darko being a decent pick up? Boston are arguably the deepest team in the league though. No love for Waiters? I’m not a fan of the kid but he’ll get minutes and have his number called for plenty of plays. I’d expect him to be among the leaders of this class for scoring year one. Outside of Kyrie who else is getting regular looks on this Cavs squad? 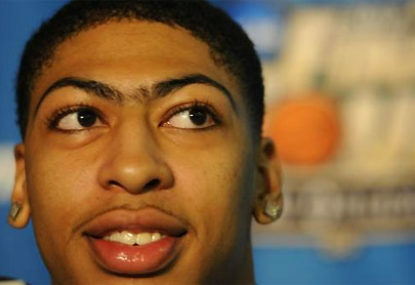 Who will win 2012/13 NBA Rookie of the Year award? Agree with you Tyler. There’s plenty of value and a nice little safety net with the Hawks straight up. For the betting inclined (like myself) the Hawks line is down another point today, now -11.5. The $1.50 head to head is now out to $1.55, plenty of Swans money flooding in. If you’re a keen punter and like Hawthorn in this spot It’s probably best to hold off until the last minute if today’s action is any indication. Hawthorn 1-39 is the value bet for me, It’s currently sitting at $2.15. Congratulations to Jobe Watson, the 2012 Brownlow Medalist. Watson isn’t expected to poll another vote. The only man who can catch him, Ablett, is expected to poll in the next two games. You’d think Watson has it in the bag from here. In a shock to nobody Dane Swan is absolutely waxed. Surely he’s broken through the double figure Crowny threshold? 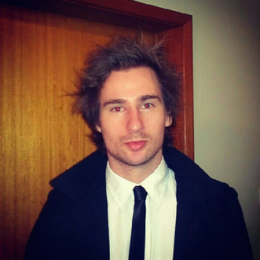 Meanwhile Jobe Watson looks like he just walked off the MCG, a picture of nerves and sweat. Richmond’s Daniel Jackson is announced as the inaugural Jim Stynes Community Leadership Award winner.